This is indeed a beautiful landscape and the award is well desreved! Congratulations!!! Very nice shot and moody landscape! Beautiful landscape. 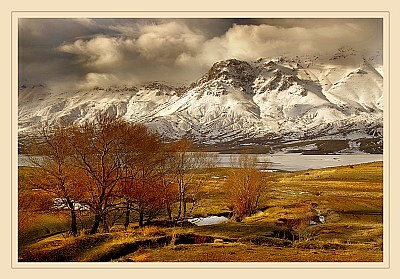 The warm tones contrast very effectively against the cold feeling of the distant mountains.